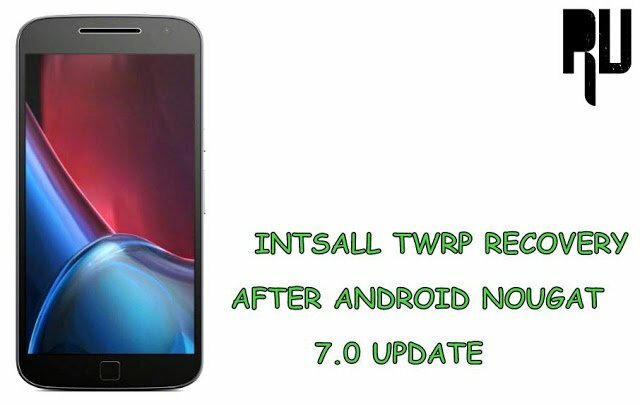 How to Install TWRP Recovery on Moto G4 Plus Nougat 7.0 . How to Flash TWRP recovery on Moto G4 Plus Running on Android Nougat 7.0 . 1 How to Flash TWRP recovery on Moto G4 Plus Running on Android Nougat 7.0 . 1.1 Install TWRP On Moto G4 Plus on Android Nougat . 1.1.1 How to Flash Twrp recovery in Moto G4 Plus Nougat 7.0 . Do you want to flash TWRP recovery on Moto G4 plus after nougat 7.0 update ? If yes then you are at right place . Today we are here with the guide on Install Twrp recovery On Moto G4 plus android nougat . Motorola started rolling out official android Nougat 7.0 update for Moto g4 plus and after the update all old twrp recoveries stopped working , SO Today we are here with the guide to get Twrp recovery in Moto G4 plus running on android 7.0 Nougat . Twrp recovery is basically a custom version of the stock recovery , TWRP recovery is used to flash custom roms on the device without using PC . Install TWRP On Moto G4 Plus on Android Nougat . Follow each and every step carefully . You should be on Android Nougat 7.0 . 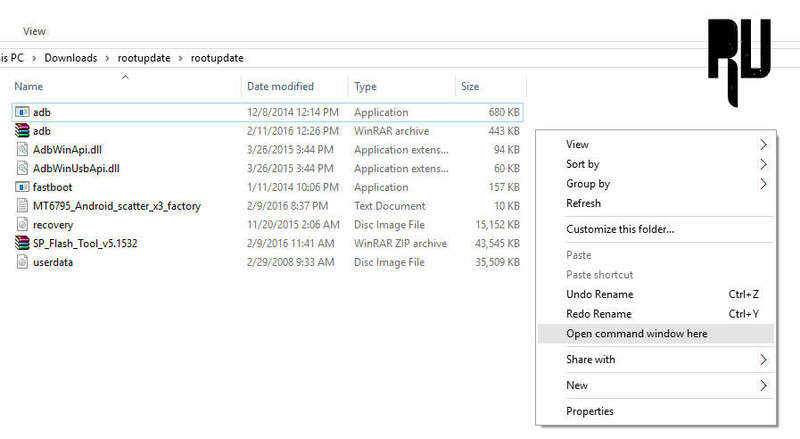 It is recommended that you take backup of all your files before proceeding to the TWRP Flash guide . Your Moto G4 plus must have more then 70% battery installed . How to Flash Twrp recovery in Moto G4 Plus Nougat 7.0 . First of all Download ADB and Fastboot for Windows . Now Download Moto G4 Plus rooting Package . Now place both the files in one folder and Name it TWRP Moto G4 . Now Go to settings and enable USB Debugging Mode . Now Go to the TWRP Moto G4 Plus folder . Now Press the Shift key and Right Mouse Key together . Now tap on Open Command Window Here . Now connect your Moto G4 plus to Pc using a Usb Cable . Now your smartphone will boot in fastboot mode . Thats all !!! You have successfully flashed TWRP recovery image on your G4 plus . To check , Press Volume Down + Power button together until the smartphone boots in recovery mode . You will see recovery installed on the Device . So this was our guide on How to Install TWRP recovery in Moto G4 plus android 7.0 Nougat .